Moonsound music disk released by the FutureDisk crew. Analogy is an audio CD with 9 tracks of music, created on MSX with Protracker. This archive contains the 9 original portracker songs. Audio Wave #1 is the first of the saga of three editions. Italian 90's MSX-scene composer Dandan shows the skills he had in 1992 complemented with music that inspired him. Awesome 1, the first music disk to support FAC Soundtracker music in stereo. Later, this music disk proved to be a stepping stone into the development of Moonblaster. 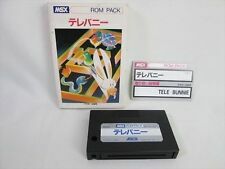 Music disk for MSX-AUDIO or MSX-MUSIC. An adapted version of Bananenvla which also supports the FM-PAC. 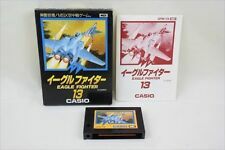 The original Flying Bytes version was MSX-Audio only. 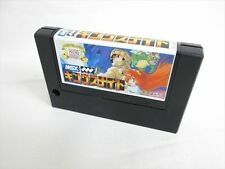 All songs but two (which were using a lot of samples) were converted to support MSX-MUSIC by Beno? Delvaux. Musicdisk by Overflow! released by Emphasys, the same team responsible for the Runemaster clone Ducktales.